Welcome to Autoworld Forum ! Forum Posting Policy, please read. 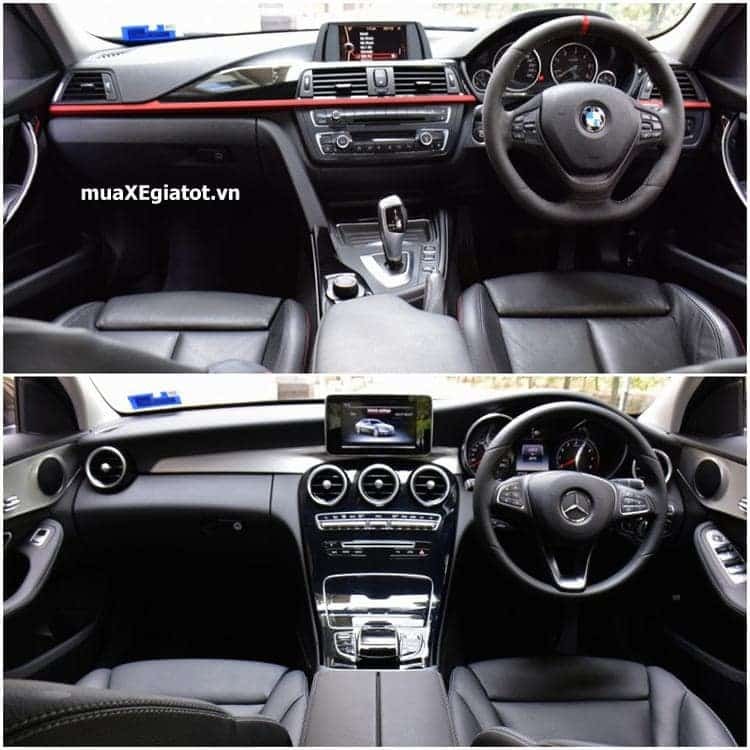 Compare Mercedes C300 And Bmw 320I: First Time Buying Cars, Should Choose Which Line? The Mercedes C-Class (C300) is available in three different versions at different price points, while buyers of the BMW 320i will be offered options such as the Sport Line, Luxury Line and M Sport package. 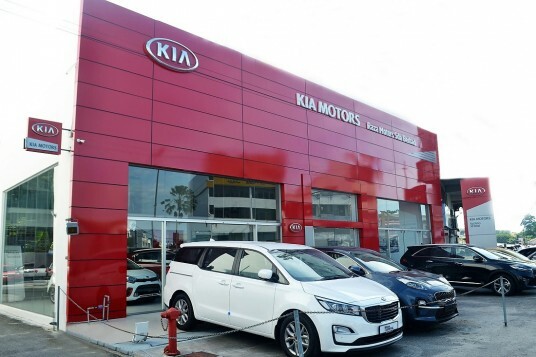 In addition, the price of these two models do not differ significantly also make a lot of consideration when considering buying. 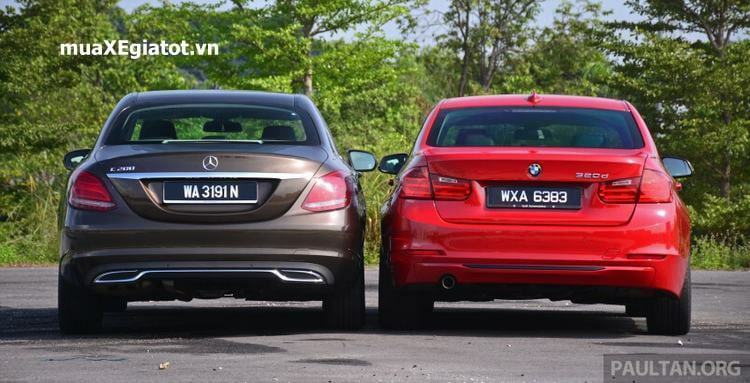 Compared to the overall size of the surface of the Mercedes C300 (4686 x 1810 x 1442mm), the BMW 320i is no less a bit shorter than the car, but the width of the car exceeds the car. Low design inspired by the sports car design. Both models have an iridescent appearance, youthful but still exudes the elegance and level required, from the details of the car, running along the hips to the tail are very harmonious. The C300 features a 2-spoke grille and 3-star star logo, as well as chrome-plated bumpers on the rear bumper and body, as well as a dual exhaust, creating a wide viewing angle. The BMW 320i continues to pursue the design of a unique two-compartment grill with long bonnet, clawing the rear of the car for a better feel. The rear of the car looks 3D is also very eye-catching. The exterior of the Mercedes C300 is equipped with a front-of-the-line Full-LED headlamp, while the BMW 320i uses LED headlamps with adaptive ADAPTIVE technology for dimming the vehicle. The taillights of both cars also make good use of LED technology for light quality is quite beautiful and fashionable. Both models have rear-view mirrors outside - folding, integrated turn signal lights. The Mercedes C300 comes with a 17 inch 5-spoke alloy wheels, compared to the 16-inch wheels fitted to the BMW 320i. The BMW 320i is distinguished by its chrome-plated interior and black bezel (on the center console panel, air-conditioning door, etc.). black wood. The Mercedes C300 features a 3-spoke leather steering wheel, a push-button feature with a durable dual-color tube dashboard and automatic anti-glare mirror. The BMW 320i features a modern and unique Display Information on the windshield. The HUD automatically adjusts the day / night brightness accordingly, giving the driver better grip information. The Mercedes C300 entertainment system includes a CD player, a 7 inch TFT color display, Radio / Bluetooth and touch-sensitive control, as well as GPS navigation. The BMW 320i features a superior sound system with 16 harman / kardon speakers and a digital audio amplifier, plus good sound insulation, so you can enjoy great sound in the car. Along with that is the 8.8 inch screen with rich content. Both vehicles have ambiance light interior trim but slightly different in terms of custom (C300 has 3 colors 3 modes to 320i only 2 colors). All seats are leather upholstered. The C300 has an adjustable front seat and a 40:20:40 flexible rear seat, while the BMW 320i has an adjustable driver seat and a comfortable seat. The two models have well-controlled air conditioning, deep cooling, as well as water storage and charging. Another noteworthy thing is that with a capacity of 480 liters, the BMW 320i luggage compartment is large enough to meet the needs of the consumer. The performance of the two models is fairly straightforward, specifically: Mercedes C300 uses a 2.0 liter l4 engine, producing 184 horsepower at 5500 rpm and 300 Nm at 1200-4000 rpm range. minute. Acceleration 0-100km / h takes 7.3s with a top speed of 235 km / h.
BMW 320i, which uses a 2.0-liter, four-cylinder engine, produces 184 horsepower at 5000 rpm but only 290 Nm at 1350-450 rpm. Acceleration 0-100km / h in 7.2s with a top speed of 235 km / h, not much different than competing models. The C300 uses 9-speed gearboxes - the 9G Tronic 2017 while the BMW 320i uses an eight-speed gearbox. Experience shows that it is difficult to see the transmission phase because the gearbox is very smooth, but more levels can help the C300 2017 fuel economy. Both cars use a modern suspension system, along with automatic and electronically controlled steering, which is lightweight and feels very active and responsive. C300 used run-flat tires and 320i tire size 205/60 R16, the ability to grip the road temporarily. Some of the common features of the two vehicles include the backward camera, active parking assist and six airbags on the Bmw 320 while the C300 has seven airbags. In addition, the Mercedes C300 2017 comes with basic safety features such as anti-lock brakes, emergency braking assistance, auto body stabilization, accelerated slip stability, active parking assistance, Adaptive braking, collision prevention and distraction warning. In addition, passive safety equipment such as the head restraint reduces the neck injury, a 3-point safety belt with emergency belt tension and torque limitation are also available for the Mercedes C300 . Meanwhile, the BMW 320i is very powerful CCTV system: Vehicle with camera warning switch in the rearview mirror and the side camera has a viewing angle of 270 degrees, combined with the steering vibration warning, Help the driver not distracted when running fast. Despite the differing selling prices, the BMW 320i looks, in general, to outperform the Mercedes C300 , from sound systems, gearboxes, and outstanding fuel economy. Two models are quite similar in terms of performance, exterior equipment. 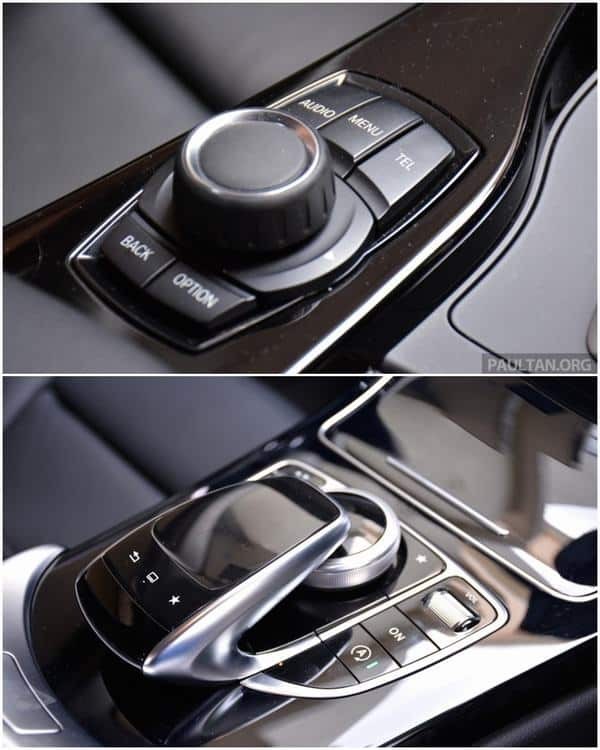 The safety features of the two vehicles are very different, but very secure for passengers.